Actionwerk is your partner in developing professional games and apps. 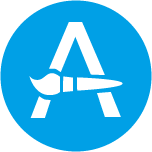 With a strong focus on visualization Actionwerk will make your app stand out. Actionwerk is happy to realize your project no matter what platform. Depending on your requirements Actionwerk is developing your project largely independently or works close together with your team on site. Actionwerk’s key specialities are games and interactive visualizations. 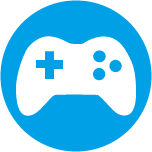 Porting and developing games for PC, consoles, tablets and mobile. Developing visually appealing apps for desktop, tablets, mobile and browser. Key strength of our work is cross platform and visualization. We are flexible in the use of technology. Given the challenges and your preferences we use the tools which get the job done in the most efficient way. Don’t worry about the right device. We make sure your app can be ported easily to all major platforms. To be seen on the marketplace visualization and intuitive user experience are key elements to stand out from the competition. Actionwerk has experience over a wide range of technologies to use the right tools for your project. Actionwerk was founded by Wolfgang Litzlbauer in July 2014. The Austrian-based studio is located in Ried im Innkreis approximately 60 km north of Salzburg. Wolfgang Litzlbauer is a developer professional with over 7 years industry experience. During his career he has been working on games and apps for all major platforms including the AAA-game Need for Speed, the successful online game Skyrama, and the mixed reality game Neon Racer. He has been working for EA Canada and Sproing Vienna and is also an external lecturer at the Salzburg University of Applied Sciences. Actionwerk loves to talk with you about your ideas. We discuss your project in detail and give you reliable estimates about the costs of your app. We are also always open for cooperation.